Cool!! very good info for Cubans!! thanks a lot! Quick update: I recharged my mother's cell in Cuba today using Ezetop. I paid $13.65 CAD and the mobile in Cuba received $11.83 CUC. There's no liability at all if you pay with Ezetop. You simply enter the cell number to recharge and then proceed to pay with a credit card. Your relative will receive the recharge immediately. If you need more help let me know. deciding should be the support,the reliability like the offered options of payment. 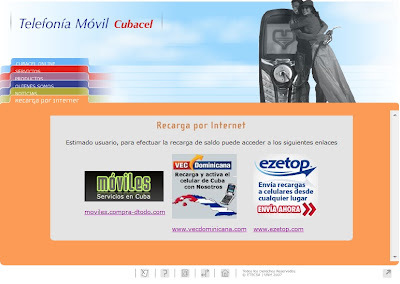 I made the experience that some providers asked you the number of the cuban identity card or more. Ezetop is completely painless, fast, easy, no-questions-ask and has the best prices. I really don't see a reason to recharge the cell using a different website. 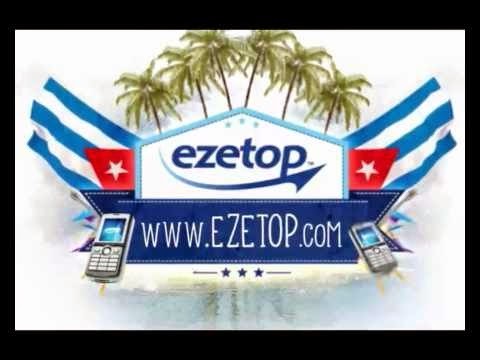 I have been using Ezetop to recharge my family in Cuba for over two years. The service is the best I have tried so far and I don't have a single complain about it. Anyhow, I appreciate your contribution and respect your opinion. Hi Debra, if your credit card does not work, try using Paypal. Hope it helps. I have been using cuballama.com for 2 years. SMS, phone calls, charging phones (best deal is double recharge). There are occasional problems with sending SMS.